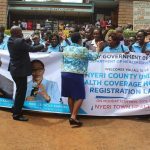 Health Services CS Sicily Kariuki has launched the Universal Health Coverage (UHC) registration in Nyeri County.The exercise kicked off at Nyeri Town Health Centre on Monday, 12th November 2018 with Nyeri Governor H.E. Mutahi Kahiga being the first to register. 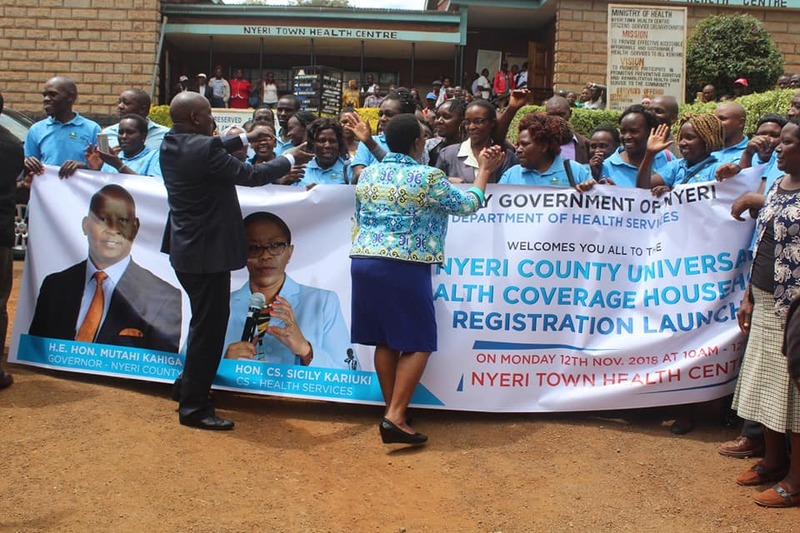 The two – week- programme which will be conducted by County Government of Nyeri staff assisted by more than 2000 Community Health Volunteers will ensure every resident of the county is registered. The official launch is expected to be conducted by H.E. 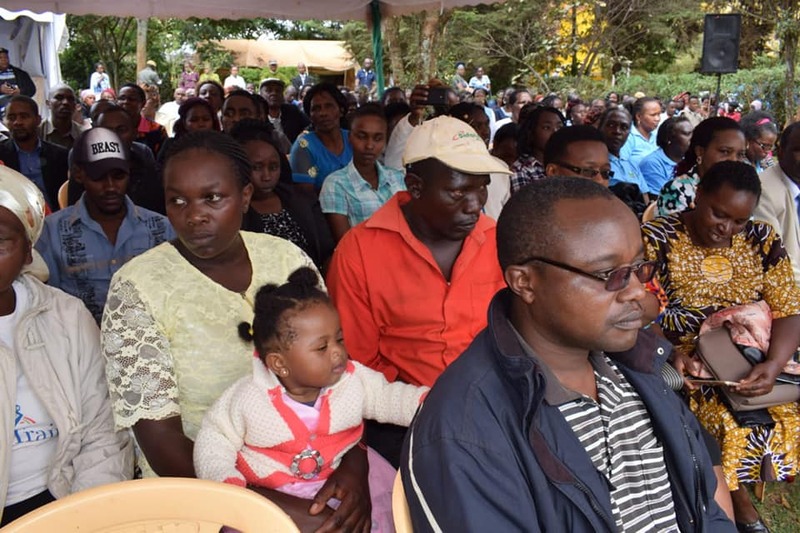 President Uhuru Kenyatta in December this year.The purpose of a UHC card will be for identification of residents living in the pilot counties and for monitoring and evaluation during the pilot phase. 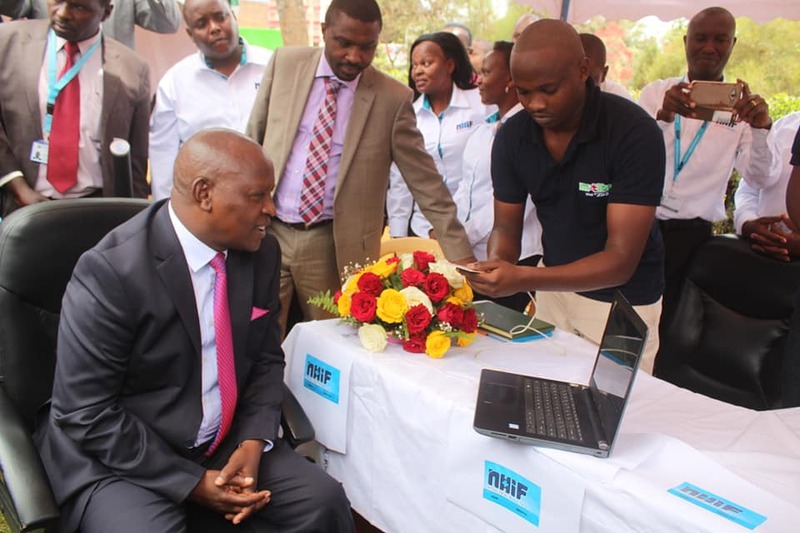 Nyeri County is among the four counties in the country which are under pilot project of UHC. 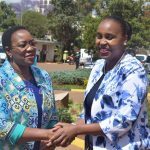 Other counties include Isiolo, Machakos and Kisumu. 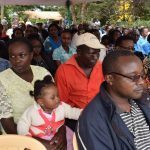 The county is targeting 100 per cent registration of the over 850,000 county population. This is about 250,000 households. 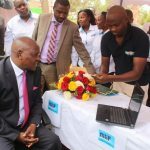 The registration is also ongoing at all public health centres, dispensaries and County hospitals. 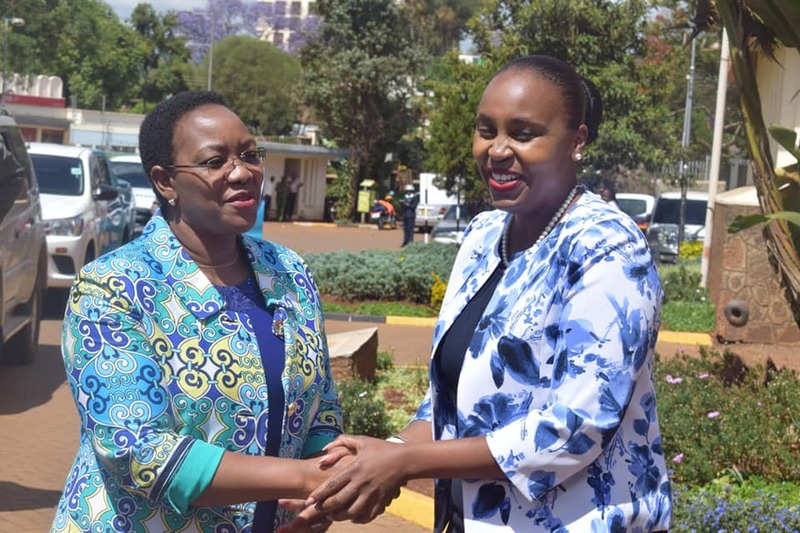 Universal Health Coverage is ensuring that all Kenyans have access to preventive, promotive, curative, rehabilitative, and palliative health services at minimum financial burden. 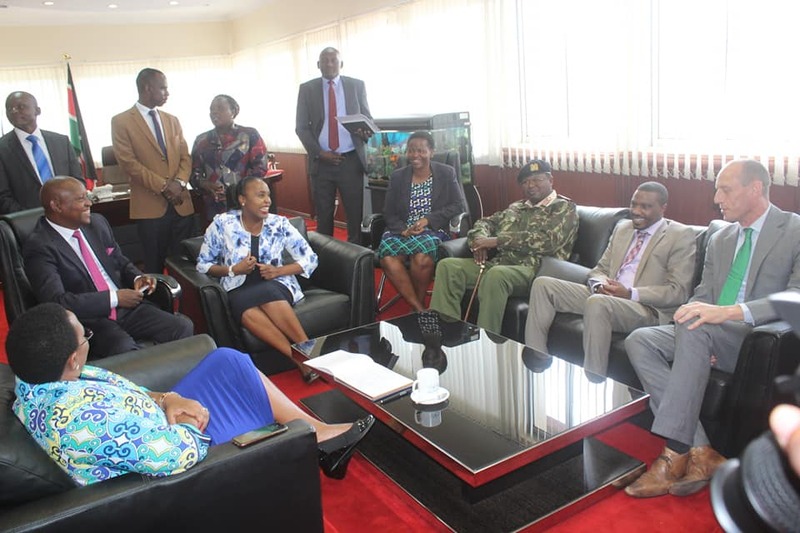 The governor hailed the President for considering Nyeri as one of the counties since it records the highest rate of non communicable diseases which include Diabetes, Hypertension and Cancer. Others present during the launch are Nyeri Deputy Governor H.E. 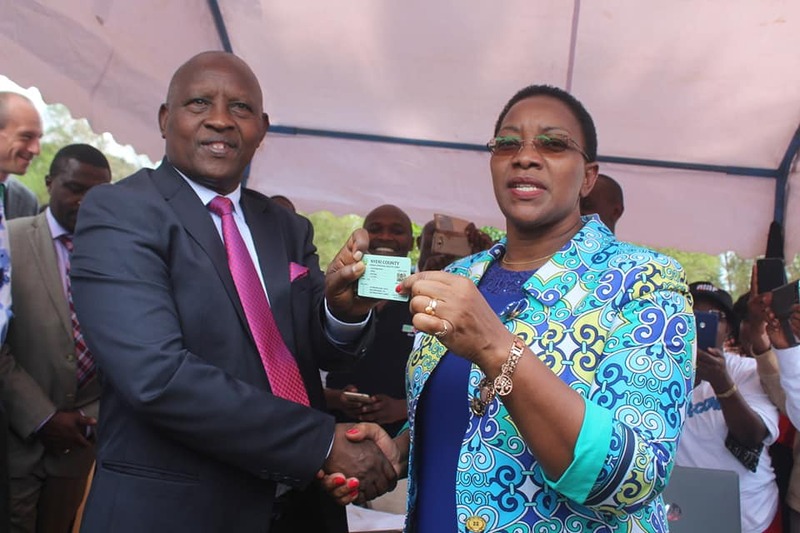 Caroline Karugu, Nyeri Town MP Hon Ngunjiri Wambugu, NHIF CEO Geoffrey Mwangi, several Nyeri CECs led by Health CEC Rachel Kamau, health Chief Officer Newton Wambugu, Nyeri Central Deputy Commissioner James Chacha and M-Tiba CEO Kees Van Cede among others. 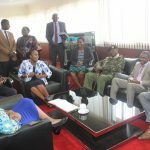 The team which had earlier paid a courtesy call to the Nyeri Governor in his office later registered various members at Nyaribo area.